Occupy Wall Street Maui staged a peaceful demonstration at Monsanto’s Maui headquarters on January 27th. 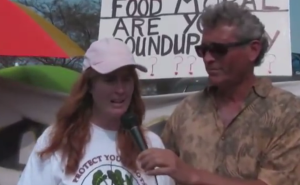 “Life on Maui” was there to cover the event — powerful interviews with the anthem “Monsanto Go Away” woven between them. This was part of Occupy Monsanto~Week of Action Jan.23-30.